Back with a new post finally, and feeling bad about the lack of consistency! 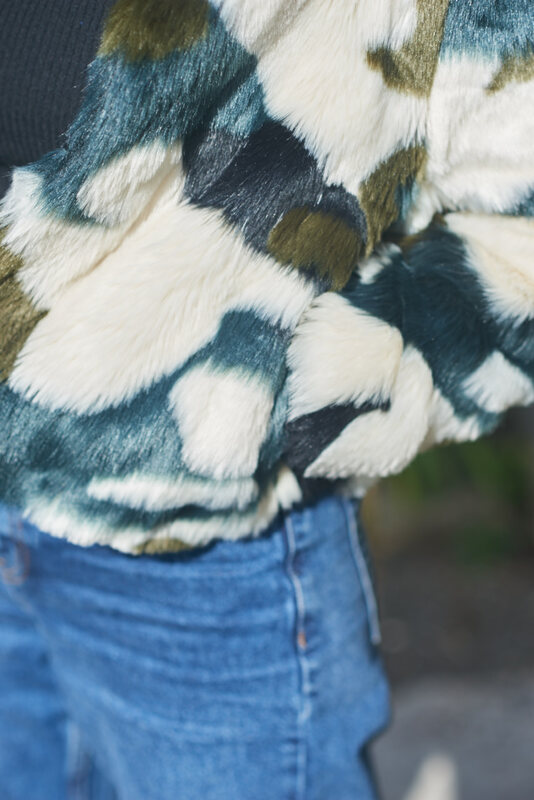 But I've brought the standards up with this coat- camo & fur!! I'm probably going to be a bit here and there with blogging as I'm working long hours and only get the chance to photograph when I see Rees which isn't often enough! 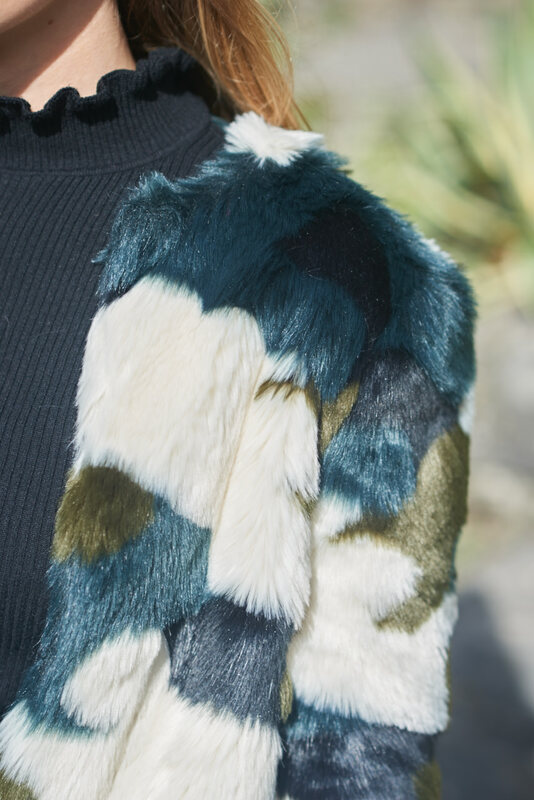 I'm pretty obsessed with this coat, from M&S Limited Edition. It's a statement piece that dresses up a simple outfit and makes me feel like I'm making 100% more effort. I'm also trying a new fit of jeans, and not completely sure how to style the MOM so here's to experimenting. Also, my first autumn boots purchase were these bow front Topshop beauties (I had to make the most of my staff discount). I bought these and the lower heel version and opted for some height BUT be warned they are not the most comfortable! What have you been spending your dollar on this season?